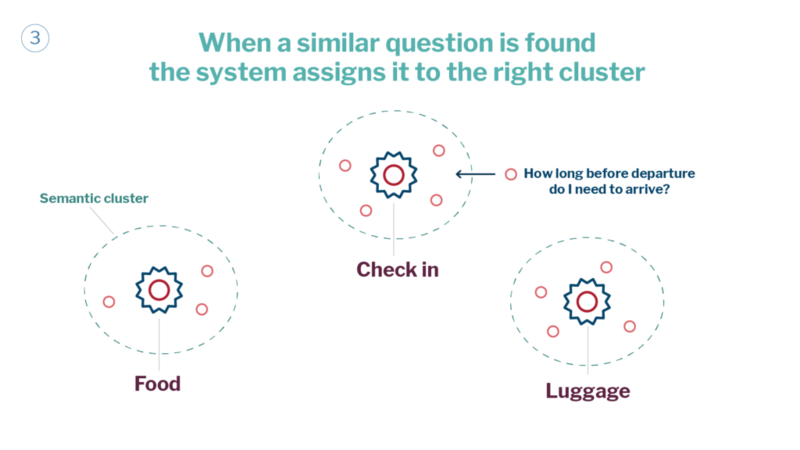 How exactly does semantic clustering work? Imagine you find a piece of a puzzle in the middle of the street. You are unlikely to know what image it is a part of. 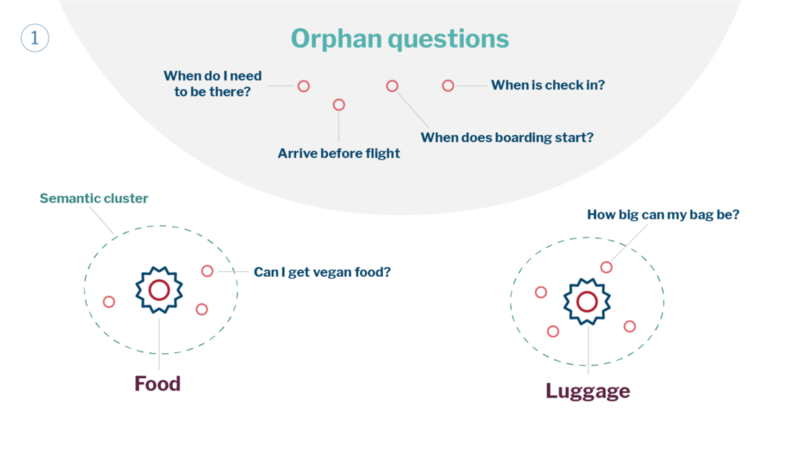 Inbenta’s Semantic Clustering is able to locate and put together this piece with the rest of the puzzle of similar unanswered questions to give you a complete picture of how you can fill your knowledge gap. When is semantic clustering used? Customers react negatively when their search results in an unsatisfactory answer. They will either fail to click on what has been provided or will indicate their unhappiness with the response by leaving the page or getting in touch with you. This means the customer did not receive an answer, the answer for that cluster was not precise enough or that it was incorrect. This is a good indicator of missing information that customers value and consequently needs to be created. Inbenta can map all these negative signals and discover where customers have had similar inquiries but did not receive a satisfactory response. These negative responses alert the company to crucial new material that needs to be created in order to answer their customers’ questions. This is a huge advantage as it enables businesses to see what their customers want to know and respond with better-targeted content that improves customer satisfaction. These questions or statements all use different words or phrases but mean the same thing. 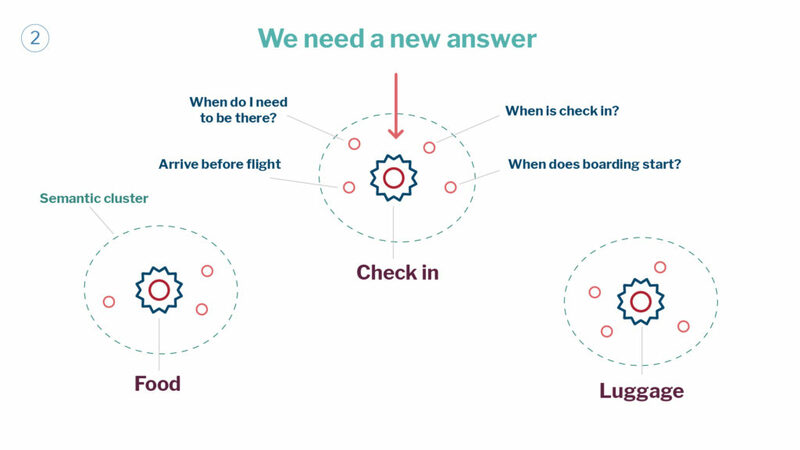 Inbenta’s Semantic Clustering is able to group all of these responses together into a cluster with the same meaning – essentially when the passenger should arrive at the airport for their flight. Our gap analysis function allows our customers to discover where they need to add additional answers and information to make sure their customers can find the information they want quickly and easily, without having to raise a support ticket. The gap in the company’s knowledge base is reduced and the customer’s satisfaction is significantly increased. 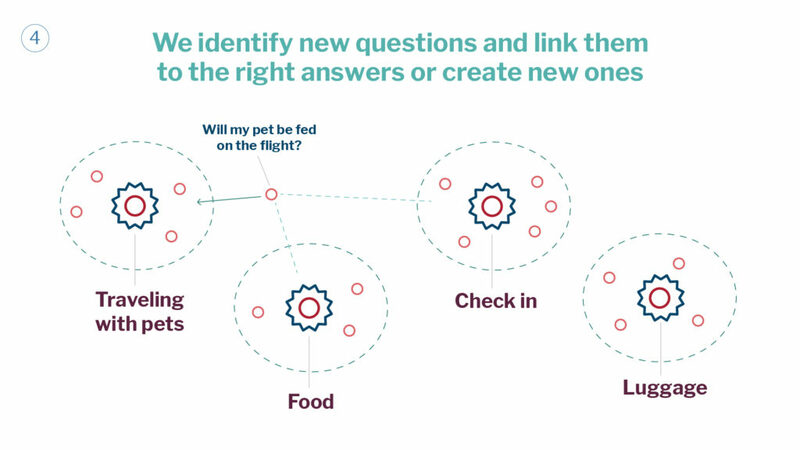 Semantic clustering is also utilised in our chatbots, which can improve the quality of conversations and provide a more interactive experience for the customer.